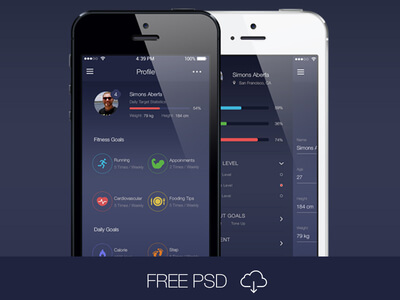 This is high quality mobile fitness app interface kit, ready to use. Here's a freebie psd of the widgets I've worked on for fun. Total 13 PSD Files.